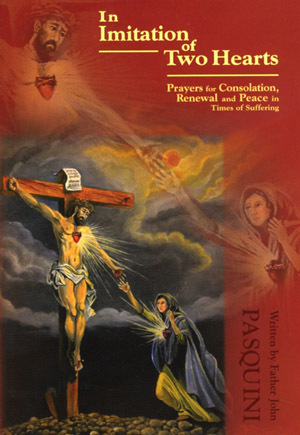 The Book of Prayers Imitation of Two Hearts is a special gift for priests to give to people in Nursing Homes and in hospitals. It is a book for all of us to use or anybody that is suffering. In the stable of Bethlehem, Jesus was born. scornfully turned away from lodgings. How lonely it must have felt? been during the severe,cold weather? the infant Savior amidst His creatures and His shepherds. O blessed Mother, found the treasure of all treasures. Deprived of much, you found all!